Posted by Funguin in Uncategorized. First let me say, there were a BILLZON comments in moderation! Thanks so much, Tails for posting! Redwings, I don’t have your wordpress email. Please let me know, and then I can add you as an author. I missed you!!!!!!!!! But I’m back!!! 😀 YAYAYAYAYAY! My staff pies! Posted by tails6000 in Uncategorized. coffee shop my fav place because open mic! follow the great through the special stage! Posted by Funguin in Bye/leaving, IMPORTANTNESSZZZ, OMG. Well, we have one new author! *people clap* Uhhhh… yeah. Guess What? The author thing worked out just in time for.. So sorry, I have a busy summer. BUT I like that is the only time I’m going away! So after this, I’m fine for the summer! FIRST A REMINDER: Its due Monday! We dont have many hits. I no that might be because of me, and i AM pretty stressed SO i want to hire people to be staff. They can be authors and help me out with the posts, and hopefully the hits will go up! I hope EVERYONE tries out, and I will hire 2 or 3 ppl that ill meet on meebo and set the rules. Deadline June 30th. The new mission is VERY hard, sorta. 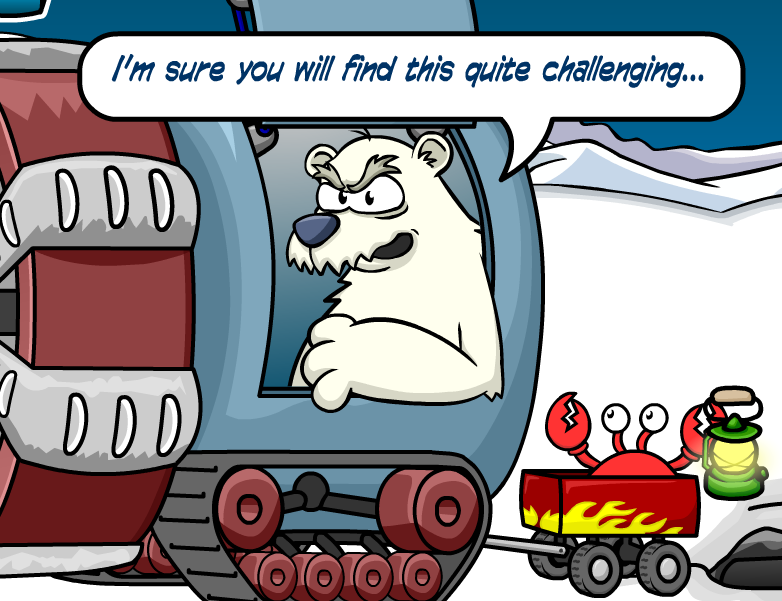 Listen to the polar bear! 1. Pick up ALL items. All (except one… idk y) u will need. 2. If you tear a piece of paper, remember, you read it still left 2 right. 3. 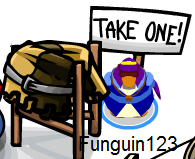 Talk to penguins. Socialize. YOU GET A SHINY MEDAL. He he. Well first with the Friday stuff! 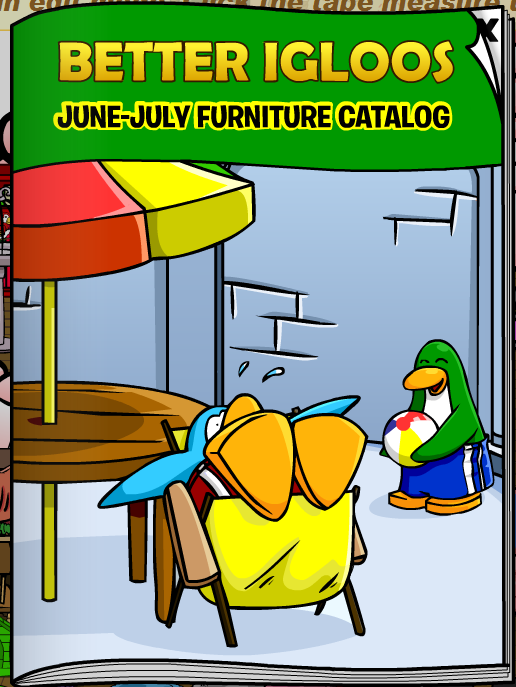 There is a new pin, new furniture catalog, and a *gasp* future mission! Lets start with the pin! 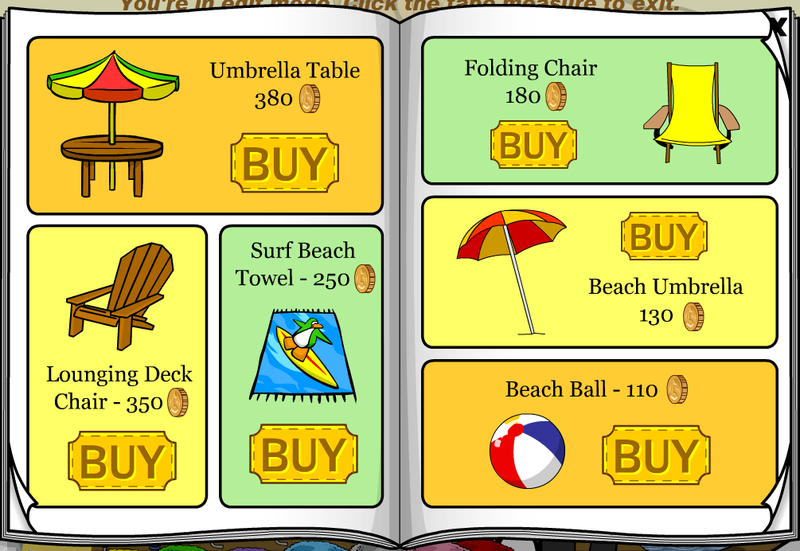 Inside there are tons of fun summer stuffz 4 ur igloo! My fav is the towel. 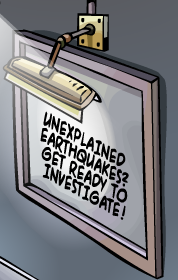 Now the *gasp* future mission! Now to the title. We dont have many hits. I no that might be because of me, and i AM pretty stressed SO i want to hire people to be staff. They can be authors and help me out with the posts, and hopefully the hits will go up! I love the party! At least the free items! They rock! Decorations are pretty cool, I like the new twist they have! Thats in several other rooms 2! A shell Necklace! I ♥ it! It’s pretty pretty. Yellow Ducky! It’s finally the right color…. Ice Cream Apron! Hmmmm, are u seeing flashbacks? Pretty nice play, cool costumes, I like it! I LOVE the June catalog!! The swimsuits are AMAZINGLY PIETASTIC! An Ice Cream Cone at the Forest! I wonder why ice cream? 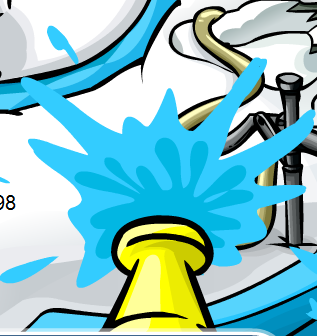 I mean, sure summer and all, but what about the water party on the 13th? The pin then will be the same. What about something water-ish? AGAIN, IM SORRY! I WILL WILL WILL WILL WILL REMEMBER TO POST HERE NEXT FRIDAY! I LOVE the midevil party! The free item, decorations, EVERTHING was amazing! I loved loved loved loved it! I like it because it seems like it could be a member item, not like the not-so-great hats they sometimes give out at parties. ALSO! A new room! At the forest you can see two trees with ropes and planks on them. It kinda hard but click around and you’ll be there! Its a tree house! 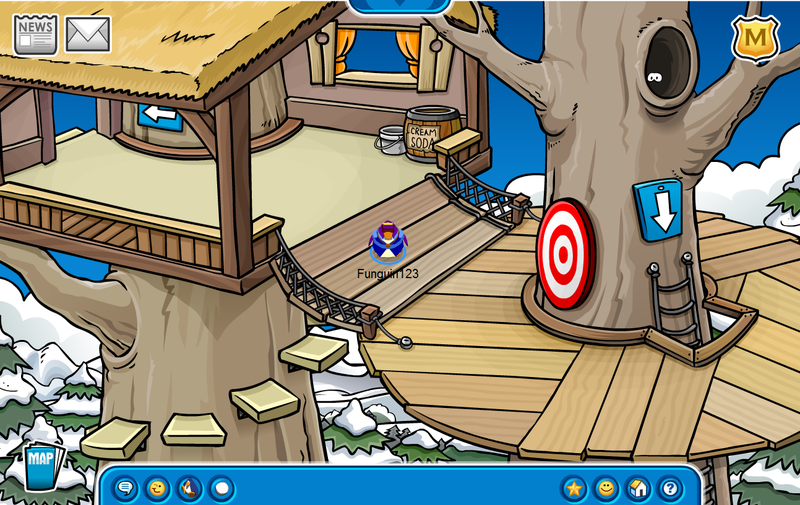 I think its going away when the party is over, but just incase im going to email Cp and ask. Ill update with thier reply! Yawn, the book contest stuff was published. 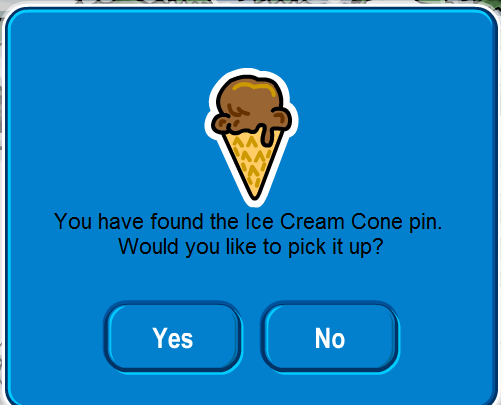 I thought the ”The Day My Puffle Went on an Adventure” was the best. 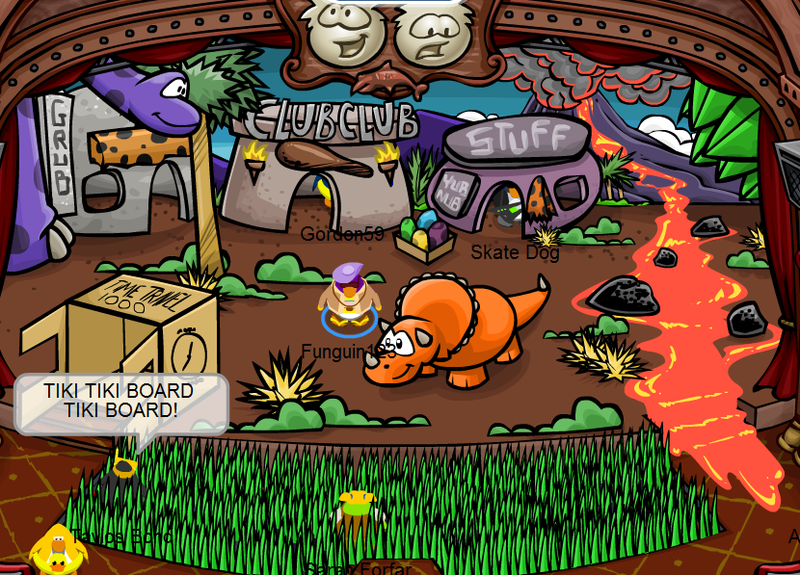 Also, it said the igloo decorating contest winners. I liked some a lot and I hated some a lot. That’s just tiny stuff. 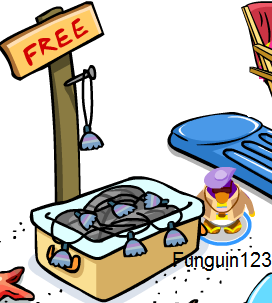 What’s going on with CP? At least the June catalog is next Friday! YAY, AWESOME SUMMER CLOTHES! (i hope) I wonder what the June party will be. I think just a plain old summer party will happen in July, and some weird themed thing for June. Here are the rules for my Meebo chatbox. 1: Do not tell me about your life and where you live 2: Only positive feedback about the site 3: No cursing, sexual language, or racism 4: Do not ask about my personal life 5:Have Fun! ALL COMICS PROPERTY OF CRAZYCATOON AND ROCKHOPPERTRACKER. 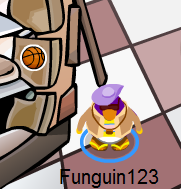 ALL PICTURES ARE PROPERTY OF CLUB PENGUIN. 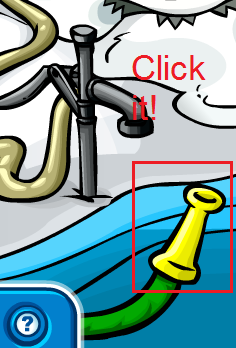 ALL PICTURES AND POSTS ARE PROPERTY OF ROCKHOPPER TRACKER! PLEASE DO NOT COPY!!!!!!!!!!!!!!!!!!! 49,940 RockhopperTrackers have been to this site!